Enter Lah-Lah’s Musical Wonderland competition & win! We’ve got a competition for you to enter right here on Babyology! We’re giving away five Lah-Lah prize packs, each valued at $60 and consisting of two CDs, one DVD, a pair of socks and musical instrument (percussion instruments, drums, things you can shake and rattle). There will also be five runner up prizes of a pair of Lah-Lah socks worth $10 each. 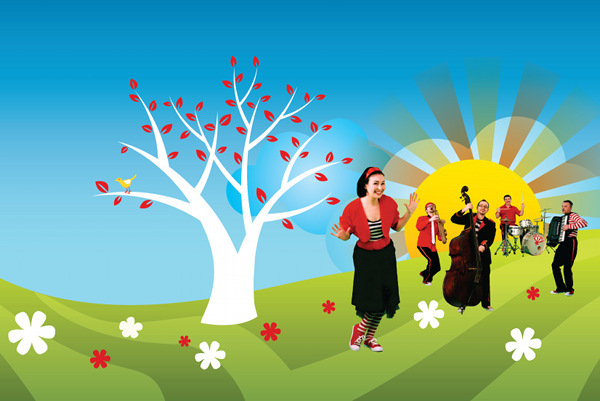 Sydneysiders, or those visiting Sydney on 9 July, here’s your very first chance to take your littlies to a family show at the City Recital Hall Angel Place – there has never before been a show for families there. How very special! We’ve also got a fab competition for you to enter, no matter where you live in Australia. A wonderful 50 minute live performance featuring Lah-Lah, who loves to sing and dance, her best friend Buzz the Bandleader, and a band of four – Lola the dancing double bass, Squeezy Sneezy the piano accordion, Mister Saxophone and Tom Tom the drums. Together they take audiences on a unique interactive musical journey combining entertainment and education. Tickets are $21 each or $75 for a family of four – book at the City Recital Hall website. There are two performances to choose from.